We’ve learned that Dorothy Gale from Kansas is a character who can survive almost anything. She’s a child with a wise, kind heart, and one who can stand up to all manner of wicked witches, evil dictators, nomes, monochromatic elephants, monsters, wheelers, androids, and Richard Pryor. But I think we’ve also learned that, unlike many of the other characters the Icons project focuses on, she’s not necessarily the most important part of the story. 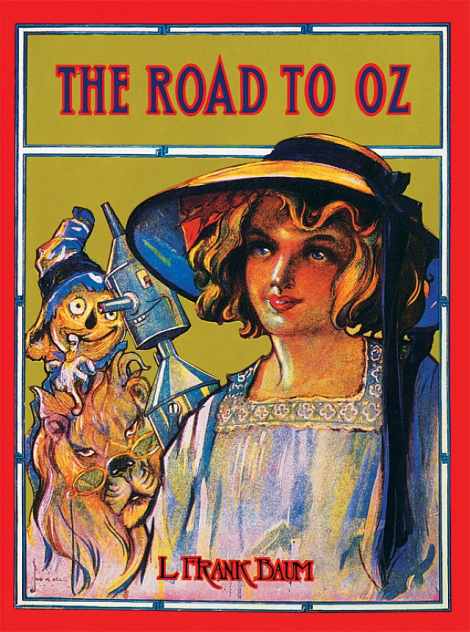 Dorothy, even in those early days of L. Frank Baum, was most effective when used as the audience’s viewpoint character, the little girl from the real world who allows us to see Oz through fresh eyes. Giving her a ton of Oz-rich backstory can work well (like in Tin Man) or be a disaster (such as in the 1925 Wizard of Oz), but either way, it’s not strictly necessary to tell an Oz story. There are plenty of other ways to do it. And if you don’t believe that, start hunting down the public domain Oz books available freely online, or even visit your local library. Anyway, since (as we’ve said) Dorothy isn’t strictly the most important character in Oz, let’s move on to another story told through the eyes of someone who’s not, technically, the hero. Arthur Conan Doyle knew, when he was creating the smartest man in the world, that the audience would only understand the stories if there was more of an everyman to relate to, and thus he created Dr. John Watson. But Watson isn’t the star, is he friends? Come back in late May for the third Icons week, when we turn our eye to the world’s greatest detective, Sherlock Holmes. Plot: In modern-day Harlem, a family gathers for Thanksgiving dinner. Dorothy (Diana Ross) is a schoolteacher, living with her Aunt Em (Theresa Merritt) and Uncle Henry (Stanley Greene), who wishes for her to break free and find a life of her own. Her dog Toto rushes out into a snowstorm after dinner, and Dorothy races after him. A cyclone appears in the snow, grabbing them both and pulling them into the air, where we see the cyclone being manipulated by a woman in the stars (Lena Horne). She drops Dorothy into a pit of sand near a graphitti-covered wall, and the people painted onto the wall come to life. Although initially frightened, the people from the walls begin celebrating her for killing the Wicked Witch of the East, knocking down a sign on her during her descent. The people, the Munchkins, were trapped in the wall by the Witch’s magic, and now are free. Miss One (Thelma Carpenter), the Good Witch of the North, thanks Dorothy and gives her the Wicked Witch’s Silver Shoes. Miss One doesn’t have the power to send Dorothy home to New York herself, and she knows the Wicked Witch of the West will be uninclined to help. Even Glinda, the Good Witch of the South, will likely be unavailable. Instead, she suggests Dorothy follow the Yellow Brick Road to talk to the Wiz. As Dorothy walks through the strange city, unable to find the Road, she finds a Scarecrow (Michael Jackson) being tormented by a group of crows. She shoos the birds away and frees the Scarecrow. When he realizes the crows had tricked him into captivity, he reveals to Dorothy his head is stuffed with garbage instead of a brain. She suggests he come with her to see the Wiz for help. The Scarecrow finds the rubble of yellow bricks and they finally trace them to the Road. As they walk through the remains of an amusement park they find a trapped mechanical man beneath some rubble (Nipsey Russell). 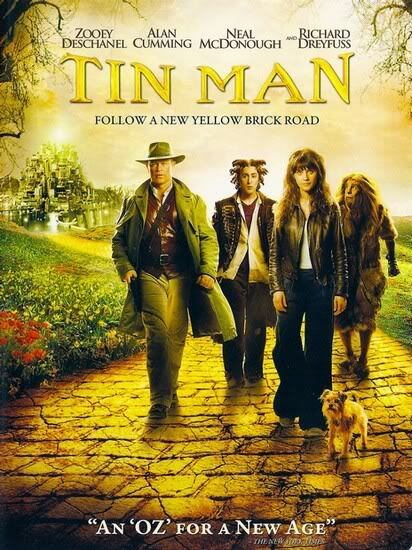 The Tin Man says it’s okay – he lacks a heart, and cannot feel. They help him to his feet and he joins them. As they pass the library, the Tin Man notices a statue of a lion is watching them. Inside the statue they find a real Lion (Ted Ross), who boasts to them but is soon revealed as a coward. He joins them as well. Following encounters with creatures in the subway and a group of “Poppies” that try to tempt the friends away from the path, they arrive at the Emerald City, where the Great and Power Oz summons “the one with the silver slippers” to his chambers. Oz, appearing as a giant mechanical head, hears their requests and bargains with them: he’ll aid them if they can destroy Evillene, the Wicked Witch of the West (Mabel King). They find Evillene in a sweatshop beneath the city, where her Winkie captives are toiling away, when she hears of Dorothy’s quest. She sends out her motorcycle gang, the Flying Monkeys, to capture the girl. Although they are captured easily, Evillene finds she cannot take the Silver Slippers from Dorothy against her will, and instead begins torturing her friends, cutting the Scarecrow in half, flattening the Tin Man, and dangling the Lion from his tail as he shouts to Dorothy not to give up the shoes. When the Witch is about to throw Toto into a flaming cauldron, the Scarecrow tells Dorothy to pull the fire alarm, setting off the sprinklers. Toto is saved, and the water melts Evillene to nothing. The Winkies, free from the Witch’s enchantment, release Dorothy and her friends and celebrate. When they return to the Emerald City, they find the Wiz (Richard Pryor) has closed up shop, and is a phony, powerless little man sleeping on a cot. He reveals he’s just an ordinary man from Atlantic City, and only sent Dorothy to destroy Evillene because he feared her. As her friends lament, Dorothy points out to each of them how they’ve already proven they have everything they need. It seems that Dorothy will be trapped, though, when the woman in the stars appears. She is Glinda, the Good Witch of the South, and reveals to Dorothy that her silver shoes have the power to send her home, now that she truly knows herself. 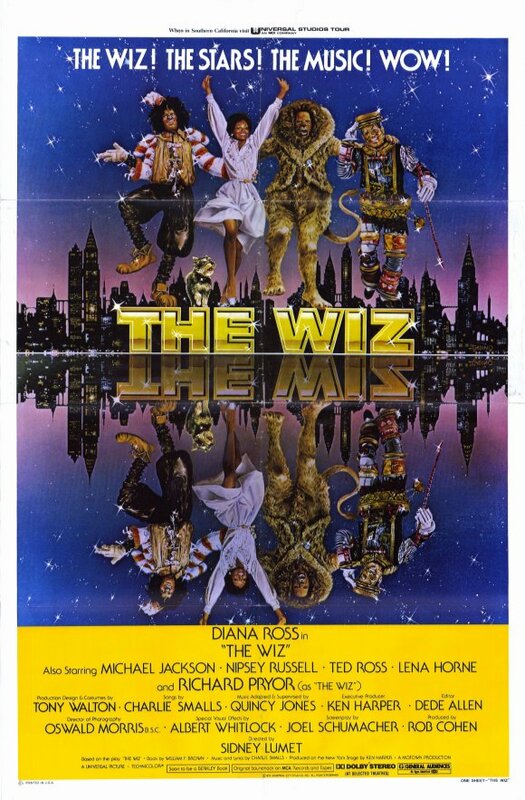 The Wiz asks Dorothy if she can help him, and she tells him that he, like the rest of them, can only be helped by letting people see who he really is. She says goodbye to her friends and she and Toto finally return home. Thoughts: I can’t believe my first official Reel to Reel encounter with the dreaded Joel Schumacher comes in the form of this Broadway adaptation. There’s just something terribly twisted about that. Anyway, Schumacher’s script takes some liberties not only with the Oz formula, but even with the original play, which skewed closer to L. Frank Baum’s book. The play kept Dorothy on a farm, it’s the movie that moved her to a school in Harlem and put in the metaphor of Oz as a fantastic version of New York City. Fortunately, the changes actually work to create something that feels very different than other versions of Oz, yet still undeniably taps into the soul of what Baum created. What I like about this version of the story is that is really shows the diversity of the basic Oz concept. The writers of the play and creators of the film took the skeleton of Baum’s story and created something different and unique. The appearance of the Munchkins, for example, is initially terrifying, even for someone who knows the story and surmises that they don’t actually mean her any harm. Resetting Oz in a dark fairy tale version of New York is an effective change as well, giving it a feeling of urban magic that sets it apart from the very rural feel of most traditional interpretations of the story. On the other hand, there are some aspects in which this version skews closer to Baum than most other film versions… Dorothy wears Silver Shoes instead of Ruby Slippers, and doesn’t (technically) encounter Glinda until the end of the story, keeping the Witch of the North in her proper role at the beginning, whereas the MGM film and most other versions just have Glinda fill both of those parts. On the other hand, the implication that Glinda manipulated events just to bring Dorothy to Oz is a new idea to this version. It would be easy to see it as somewhat cruel, but I think it feels more like the actions of a fairy godmother, putting the pieces in just the right place to do her charge some good. Baum didn’t really have a particular moral lesson for Dorothy, the MGM film added a considerable weight to the idea that “there’s no place like home.” With this film, the message seems to be exactly the opposite – there’s a big world out there and it takes courage to find it. Diana Ross works very well in this incarnation of Dorothy. At the beginning of the movie she comes across as very timid, even frightened of the smallest things. She slowly changes as the movie goes on, first needing to find a well of courage when she saves the Scarecrow, and expressing joy in the antics of the Tin Man. By the time they reach the Emerald City (which the Wiz then changes to Ruby, then to Gold on whim), she’s becoming more fully-formed. At first, he won’t allow her friends to see him, but Dorothy refuses to speak to him without the others. Ross still has some timidity in her voice here, but it’s paired with determination in a way that shows how far she’s grown as a character already. The small tweaks to Dorothy’s friends all feel very natural and in keeping with the concept that they all really had what they wanted all along. Michael Jackson’s Scarecrow, for instance, is never particularly foolish, and we accentuate this point by having him periodically pull a scrap of “garbage” from his head with some sort of wise fortune cookie-style quotation on it. Nipsey Russell’s Tin Man, from the beginning, has a lively energy that simply doesn’t fit the conceit that he has no feelings. He seems thrilled from the beginning to have friends and a purpose again. The Lion is the only one who really displays his fault – cowardice – and in fact has a fine moment after the encounter with the Poppies where he laments his weakness. Dorothy, as usual, helps him back from the edge (literally), and from then on when they approach danger, he may tremble, but he pulls himself together in the end. The music in this version takes a few different paths. “Ease on Down the Road,” probably the most famous number, is vibrant, energetic, and fun. Evillene’s “Don’t Nobody Bring Me No Bad News” has a similar energy, but a much more sinister flavor. Other songs, like the Scarecrow’s “You Can’t Win,” are considerably darker, and still more project homely feelings, or soulful rhythms. A lot of them are particularly quiet and emotional – Dorothy’s “Believe in Yourself” in particular clearly is meant to reach right to the heartstrings. It makes for an eclectic mix that fits nicely with the wild, unique vision of Oz presented in this movie. Some of them do tend to go on a little too long, with endless refrains and dance numbers that probably work better on stage than in the filmed version, but there’s nothing that ever really gets tedious… just a few moments where I wanted them to get on with it. This is the first time I’ve ever seen this version of the story, and I’m rather sorry it took so long. While not really like the classic versions, it has a spirit and vibe of its own that’s very entertaining and very satisfying. As far as efforts to “reimagine” Oz have gone, this is one of the better ones. Plot: In this animated kind-of sequel to the 1939 MGM film, a storm is brewing in Kansas again, and Henry (Paul Ford) is getting worried. His niece Dorothy (Liza Minnelli) feels a-tingle, remembering how a similar storm once swept her away to the land of Oz, but her Aunt Em (Margaret Hamilton) swears to her that Oz is simply a figment of her imagination. As she sings to Toto about wishing to return, a cyclone snaps the two of them up and pulls them into the air. When Dorothy comes to her senses, she realizes she’s landed by the Yellow Brick Road in Oz, and rushes off to find her old friends in the Emerald City. Setting off, Dorothy encounters a creature with a pumpkin for a head (Paul Lynde). Pumpkinhead is fleeing from an evil witch named Mombi (Ethel Merman), who created him to help her conjure some powerful, terrible work of magic. Dorothy tells Pumpkinhead to come with her to the Emerald City, where her friend the Scarecrow will help him. Dorothy finds Mombi’s hut, where a crow (Mel Blanc) invites her to peek at the cauldron simmering on the fire. Mombi traps her and reveals her brew will create an army of green elephants to conquer Oz and destroy the Scarecrow. When Mombi leaves to get firewood, Pumpkinhead sneaks in and rescues Dorothy. As they escape, they encounter a carousel horse called Woodenhead (Herschel Bernardi), stuck upside-down in the ground. They free him and he joins their party. Arriving at the Emerald City, they warn the Scarecrow (Mickey Rooney about Mombi’s attack just as the Witch and her Green Elephants arrive. Dorothy and her friends climb on Woodenhead’s back, but Toto and the Scarecrow are captured in the escape. Dorothy, Pumpkinhead and Woodenhead set out for Tinland, to enlist the aid of her old friend the Tin Man (Danny Thomas). At first he’s eager to help, but loses heart when told of the army of elephants. The Cowardly Lion (Milton Berle) initially puts on a show of bravado, but quickly reverts back to quaking when told of the elephants. Glinda, the Good Witch (Risë Stevens) who has been watching the proceedings with her… “Glinda-Bird”… arrives to offer her aid, and gives Dorothy a package which she warns her not to open until she arrives at the Emerald City. Mombi sends a group of enchanted trees after the friends, but Glinda – watching through the Glinda-Bird – gives Pumpkinhead a magic axe that turns them into… well… hippies. Saved, they return to an Emerald City that has rapidly fallen into decay. They are attacked by an elephant, but Dorothy opens Glinda’s box and a swarm of magic mice pop out and chase it away, freeing them to assault the palace. The mice make it to Mombi’s chambers and chase her the gardens, where she disguises herself as a rose bush. The mice have sent the elephants on a stampede, though, and she is trampled flat. Toto, recognizing Mombi’s true form, leads Dorothy to the flattened rose, who blames Dorothy for her fate just as she dies. As she withers, the elephants fade and the Emerald City is restored to its former glory. The celebration is short-lived, though, as Pumpkinhead has fallen along with the rest of Mombi’s creations. Glinda tells Dorothy her magic cannot restore him, and Dorothy weeps for her fallen friend. As she cries, her tears touch Pumpkinhead’s face, and the magic of her love restores him to life. The Scarecrow awards his friends, making Woodenhead his own royal steed and knighting Pumpkinhead, then offers Dorothy anything she desires. She asks, as always, simply to return home. The Scarecrow find a loophole in the Oz Constitution that will only allow Dorothy to return home the way she came, and Glinda creates a cyclone to carry her back. Thoughts: In the 1970s theatrical animation could be divided pretty squarely into two categories: Disney, and everything else. This Filmation effort falls into the latter category: limited animation, competent but unimpressive voice acting and weak music. 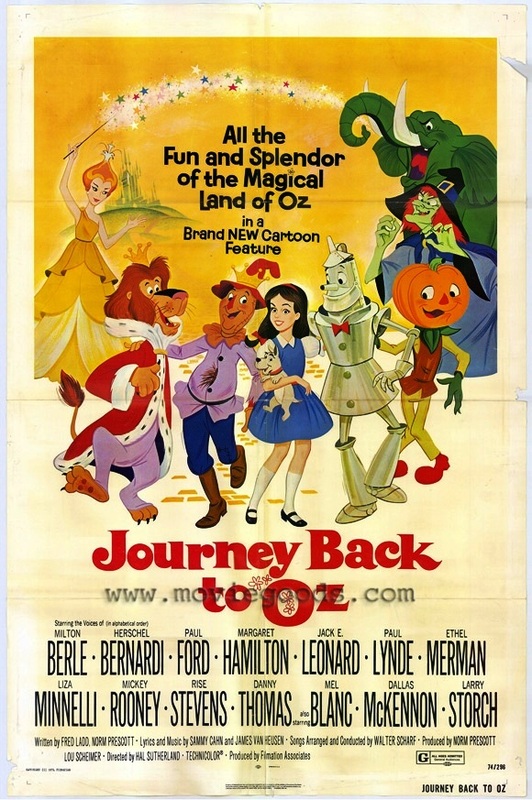 The idea of doing an Oz sequel was all well and good, but Filmation went with stunt casting (Judy Garland’s daughter voicing Dorothy, original Wicked Witch Margaret Hamilton doing a cameo as Aunt Em, plus several celebrities of the time) and an uncredited rewrite of Baum’s second Oz book, The Marvelous Land of Oz. This movie plucks some of the characters from that book – Mombi and Pumpkinhead – turns the Sawhorse into a Merry-Go-Round horse, then turns the plot into something that’s trying hard to be The Wizard of Oz all over again. 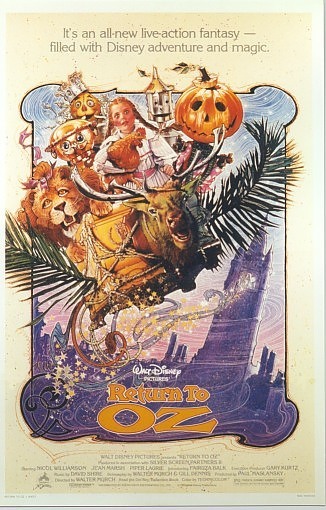 Instead of that other story, in which a young boy named Tip and his friends wind up stumbling on a plot to conquer Oz by an army of angry women, this movie has Dorothy once again marching to the Emerald City, once again picking up unusual friends along the way, once again being plagued by a Wicked Witch out for revenge. It’s incomprehensible to me why, with 14 Oz books to choose from by Baum alone, filmmakers never seem to look past the first three for inspiration, and often try to shoehorn elements from the latter two into the mold of the first one all over again. It’s equally baffling why they would create new elements when the originals (such as General Jinjur’s all-girl army, which the elephants are standing in for) work so much better. And for Heaven’s sake, why elephants? Okay, they’re big, they’re powerful, but the way the Tin Man and Cowardly Lion react to them you’d think elephants are their natural predators or something. Even mammoths might make sense, but the Tin Man going into a panic over green elephants simply doesn’t make any sense. The performances, as I said, are merely adequate. Liza Minnelli is clearly cast simply for the gimmick of having her take up her mother’s role, as she brings nothing to the part. She’s not terrible, but there are most certainly more talented voice performers who could have done more, granted the character the sweetness and innocence she demands. As it is, the only thing that really can be said about Dorothy in this film is that she “kinda sounds a little like Judy Garland.” The animation is weak as well – Filmation does a far better job with the non-human characters than Dorothy. She’s surrounded by characters like the Tin Man and Pumpkinhead, which at least look amusing, but Dorothy herself is a stiff, unemotive creature that only really has one expression. This isn’t one of those times where I’m willing to chalk it up to the limited resources of the time, either. If Disney could make magical, powerful characters in the 1930s, the only excuse for the poor animation of the 70s is pencil-pushers cutting corners, and that I refuse to forgive. Speaking of Glinda, here we see one of those oft-used fantasy tropes that usually irritates me: the “don’t open it until the proper time” gimmick. Writers often use this to create some false suspense, but at least they usually make some effort to explain why the giver of the gift won’t say what it is: magic, arbitrary rules of the game, “you wouldn’t have believed me,” something. None of those are brought into play here, though, there was no reason for Glinda to make a secret out of the box’s contents. It’s just there so we can have a brief moment in the forest where Woodenhead suggests opening the box to escape the trees and Dorothy can tell him no, reminding us that she’s a good little girl who does as Glinda tells her. The songs, like the voice acting, are merely adequate. Each character gets at least one, Dorothy gets several, none of them are particularly memorable. This was par for the course for films of this nature, sadly, and that’s even sadder when you compare it to the incomparable music from the 1939 film. When I learned of the existence of this movie, I was initially very excited – as I always am when I find out about a version of Oz I haven’t encountered before. Sadly, the whole thing fell very flat for me. It was at least more recognizable than the 1925 Wizard of Oz, but in truth, that’s mostly because it was built on the back of the Judy Garland film. That’s not to say you can’t tell a good Oz story that way – many people have – but this didn’t hold up for me. Still, I can see a lot of similarities to the cartoons I grew up watching, the ones that hold a special place in my heart even today. On the other hand, I can also recognize that a large number of those cartoons I loved as a kid are terribly weak when looked back upon with a discerning eye. I suspect that if I had watched this movie as a child, I’d probably upon it with rose-colored glasses. As it is, I’m just left sliding the disc back into its NetFlix sleeve and feeling a little disappointed for the second time in this week’s experiment.